Enterprises are considering VoIP and UC&C because of the potential cost savings as well as gains in worker productivity. VoIP is typically more cost-effective to manage than a legacy PBX, which may be at the end of its service life. VoIP also lowers network operating and management costs by consolidating voice and data networks. With options like Hosted VoIP, there is less capital expense (CapEx) required for voice hardware. Specifically, the PBX chassis is no longer needed. In contrast, replacing an entire PBX system represents a significant capital outlay. For customers who wish to manage the PBX, SIP trunks can replace channelized, inefficient ISDN services so offices share a pool of calling capacity. Most importantly, VoIP enables entirely new ways of working. 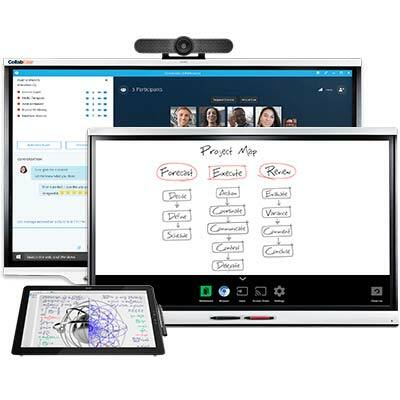 VoIP enables UC&C capabilities such as instant messaging, presence and video conferencing on multiple devices. Your workforce can communicate and collaborate more efficiently through the real-time integration of communication services like extension and number mobility, desktop sharing and conferencing. Employees can respond more quickly to customers and one another regardless of their location. A strong UC&C solution can deliver the same in-office experience on mobile devices as it does from a desk phone. What is the difference between legacy voice and VoIP? Before VoIP, when you dialed a number you were accessing a telephone switch or a PBX. A switch has two sides: the “station” or phone side, where the users interface with the system and extensive feature set; and, the “trunking” side that interfaces with the worldwide Public Switched Telephone Network (PSTN). Sometimes called “Plain Old Telephone Service” (POTS), the PTSN is what enables you to pick up a phone in Idaho and place a call to India without talking to an operator. The trunk side automatically provides primary and alternate paths for the call. If the desired call path becomes unavailable, the trunk side of the switch routes the call through a different path. Unlike legacy voice, VoIP does not provide the connectivity between both sides of the switch. With VoIP, you will have an IP network connection between the telephone switch and the station side (e.g. end-user devices like phones, softphones, clients on cell phones, etc.). You will need IP network connectivity between the PBX and the trunk side interface to the PSTN. Figure 1 shows this potential connectivity. In this scenario, you would own the telephone switch either on your premises or in the cloud. There are two basic flavors of VoIP: SIP Trunk and Hosted VoIP. SIP Trunk is managed on your own premises using VoIP to connect an Internet Protocol PBX (IP-PBX) to the Internet. With SIP Trunk, the Internet replaces the telephone “trunk,” handling many signals simultaneously within the IP-PBX. SIP Trunk, depicted in Figure 2, allows an organization to communicate with fixed and mobile telephone subscribers worldwide. Hosted VoIP is provided by an external service provider, with the equipment for VoIP and call switching located remotely. Hosted VoIP limits your on premise equipment requirements to just desk phones and IP network connectivity between the hosted PBX and the station side. Choosing between SIP Trunk and Hosted VoIP will be based on financial, strategic and technical factors. More businesses today are opting for the hosted option. Considerations include whether you prefer to own the technology or if you will allow a provider to manage your service. Hosted VoIP or SIP Trunk? Migrating from legacy telephony services to gain the efficiencies and capabilities of unified communications is your goal, but there are two primary pathways depending on your businesses’ buying preferences, IT skillset, feature needs, and resources. Why Purchase a Hosted PBX Solution? A hosted VoIP service makes sense for businesses and enterprises that prefer not to invest CapEx in and maintain equipment onsite, and do not possess deep IT resources. Rather than manage technology and features across business sites, they prefer a holistic, managed solution that includes VoIP handsets and access to features that solve for mobility and collaboration. • Access to standard PBX features (call routing, voicemail, etc.). • Stop maintaining or upgrading end-of-life onsite equipment. • Minimal onsite equipment to support. Typically IP based handsets and a gateway router. • Scalable and flexible to add users and offices. • A comprehensive hosted VoIP service supports remote offices, and bundles mobile and unified business applications (desktop sharing, conferencing, file sharing, etc.). • A comprehensive hosted VoIP service provides high-definition voice and video capabilities. • A comprehensive hosted VoIP service provides seamless unified experience across mobile and computer platforms. • Typically available over-the-top of customer’s existing connectivity or optimized when bundled with the service provider’s network. • Range of seat types with per-seat pricing for cost predictability and user needs by location. Why Purchase a SIP Trunking Solution? A SIP Trunk service makes sense for businesses and enterprises that need a foundation to select and implement UC&C applications but prefer to manage network infrastructure between sites, and need to support a mixture of legacy and IP-enabled technology. 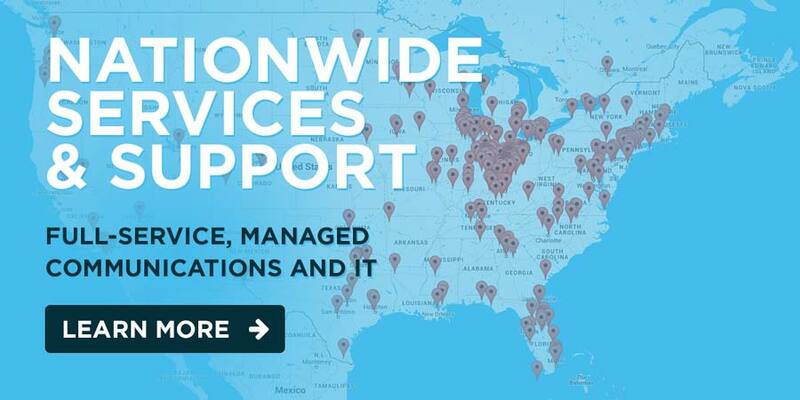 • Replace under subscribed “fixed” TDM (ISDN-PRI) voice connections at every business site to send and receive voice calls from the PSTN, and for disaster failover. • Share a common pool or pools of calling capacity (Concurrent Call Pathways) across all sites, and stop buying unnecessary bandwidth. Adding incremental bandwidth is easy. • Maximizes the investment in your MPLS and Ethernet network. • A strong SIP solution supports direct, native connections to both TDM and IP PBXs without the need to deploy additional equipment, typically gateways or Integrated Access Devices (IADs) to convert signaling. • Voice services built on SIP typically provide more robust, built-in business continuity and disaster recovery options at the network, trunk, and telephone number levels. • A strong offer includes bundled business calling features, including toll free and mobility call routing features. • Includes emergency 911 services. • A comprehensive SIP solution includes telephone numbers with the capabilities to extend to mobile devices. • Creates a foundation to layer on your choice of UC&C applications. Enterprise MPLS/Ethernet WAN Medium Remote Location Headquarters. Migrating from legacy voice to VoIP and UC&C doesn’t have to be a difficult process. As with all major technology projects, VoIP migration takes focus and effort. To do it right, you have to engage in thorough and thoughtful discovery activities. Short-term and long-term planning are needed to ensure a cost-effective and seamless transition. The following suggested best practices can help prepare you to migrate to VoIP and UC&C while minimizing service disruptions. The move to VoIP frequently pairs the IT department with the telecom operations team, two groups that may be distinctly separate in many organizations. Bringing the two groups together supports the integration of IP technology, which has been traditionally a data service, into the voice services side of an organization. The reverse is also true. If the IT department assumes responsibility for voice services, IT needs to learn how voice services work, what end users expect and how to implement these services in addition to data services. In some cases, the two teams will actually merge. Whether the teams are combined or will simply be working together, a smart first step is for both groups to achieve a solid understanding of each other’s respective disciplines. It will take an investment of time, some possible change management and a bit of organizational/cultural sensitivity. Integrating the two teams can sometimes be challenging, but the focus should be on the end goal of integrating voice and data services to better streamline technology and optimize costs across the organization. It’s imperative that you take a close look at your network prior to implementing VoIP. This means doing a complete network assessment to ensure your data can handle additional traffic coming from VoIP traffic. (MVDconnect can help you with that). Network speed tests enable you to evaluate your IP network capacity and determine if it is robust enough to handle current and projected voice and data traffic needs. A number of tools can simulate VoIP traffic on your network based on your projected user count. By simulating your likely levels of voice and Unified Communication traffic, you can see how your network responds. The test results help you budget for any necessary network enhancements. The results from this test will help in the planning of network enhancements and the evaluation of load balancing to ensure that the new IP services support standard and peak network traffic demands. It is important that you have an experienced service provider like MVDconnect, who understands VoIP and can provide the relevant design characteristics in your IP configuration. For instance, having built-in flexibility to adjust for fluctuations in call volumes makes VoIP services more reliable and more available than legacy voice services. Or, having redundant network access into your premises as well as multiple fiber/conduit runs to multiple wire centers enables the rerouting of IP network traffic around access circuit failures. Such redundant capabilities can build diversity into your network to support disaster recovery configurations. Call setup protocols allow failed call attempts to choose an alternate path that completes the call. You already have this capability with legacy voice, but VoIP call setup protocols are more robust. IP networks also have inherent capabilities to recognize faults and service degradations. IP networks can be configured to automatically respond to faults and correct for service degradations. The design of your IP network determines if these corrective actions can be utilized or not. Both of the architectures shown in Figure 4 can be used for either the station side or the trunk side of the service. The one utilized is dependent upon the provider’s network and equipment serving each customer premise location. These capabilities are especially desirable between your provider’s point of presence (PoP) and your premises. Figure 5 below represents another redundant design to avoid call failures. Although the diagram shows trunk side connectivity for a company-deployed IP-PBX, the remote site shows how the design would work for one provided by a third party as well. This is an ideal design scenario but acceptable availability levels can still be achieved if the level of redundancy in this design is not available at all sites. Organizations should expect and plan for future LAN upgrades. Upgrades to the wide area network (WAN) are also required when combining voice and data on the IP network. The voice traffic will require additional WAN capacity. Voice traffic is real-time data that requires more closely controlled and monitored congestion management/quality of service (QoS). Effectively deploying VoIP and UC&C requires a specialized knowledge set and level of experience that encompasses both legacy voice and the IP network. You must take the time to assess the resources that are available in-house and identify any external expertise required. Migrations run smoothly when enterprises work with equipment vendors and network providers who possess the ability to deliver the best components and the highest level of consultative expertise. MVDconnect can provide guidance throughout the process, delivering experienced insights on the most effective way to proceed and guidance about what to anticipate at different points throughout the project. 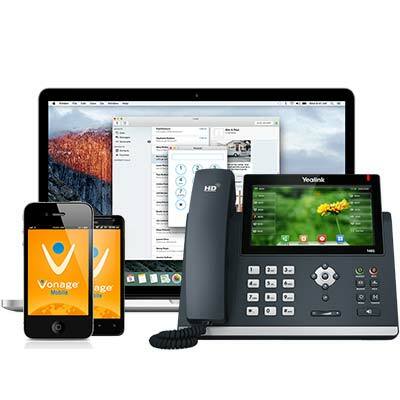 MVDconnect can also help you budget for the VoIP migration process. Equipment and service providers should support your plans to leverage your new IP system without abandoning existing assets. The speed of the migration will be based on your desired time frame for return on investment, existing lease and maintenance agreements, and user populations. You should work jointly with your equipment providers to identify any of your back-end systems that are attached to the current voice system. If needed, develop a plan to migrate these systems incrementally to IP. Back-end systems, which include reporting, fraud, and billing systems, among others, are often proprietarily tied to a vendor’s legacy voice system. If this is the case, it may be most cost-effective for you to replace them with open source systems during the migration. Your unique requirements will translate into a distinctive VoIP solution. Realizing the potential of your VoIP and UC&C solution means ensuring that the solution is implemented according to your requirements. 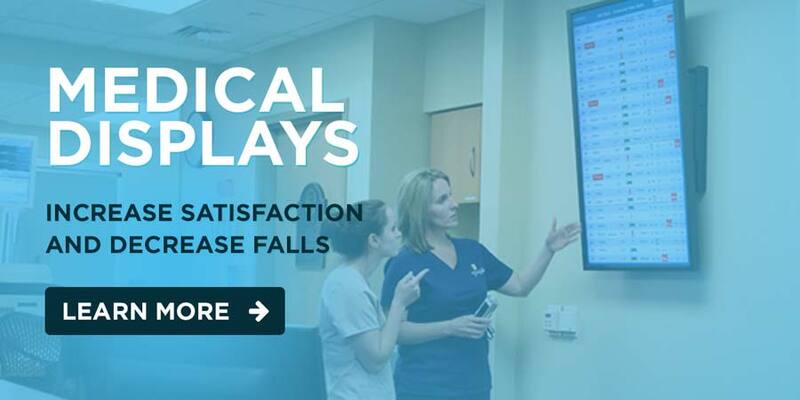 • Schedule and milestones for completion of any network upgrades and testing to confirm that the new requirements have been met. • Testing of VoIP and UC&C services before rolling out to end users. • Integrated access devices converting between legacy voice protocols and VoIP protocols so that old and new technologies can run in parallel during the transition. This allows for a manageable phased migration with back-out capabilities at each step of the migration process. • Staged rollout of VoIP and UC&C, starting with a relatively small group of end users. • End user training and publication of information relevant to successful end-user adoption. For instance, people may need to learn how to use a “soft phone” — i.e. using their PC to make phone calls or a brand new Unified Communications handset with new voice and video features included. • Assessment of rollout, with allowances for adjustments to the technology based on early end-user experience. • Continuation of full rollout, with periodic assessments to measure the success of the migration and plan for future changes to VoIP and UC&C service offerings in conjunction with related network upgrades. Moving to VoIP and UC&C offers enterprise businesses valuable new capabilities, added flexibilities and cost optimizations. Other advantages of IP technology include new, more convenient and productive ways of working. There are multiple ways to start your move to a VoIP services option. The transition to the new technologies will vary depending on the structure and culture of your organization. MVDconnect, you can execute your plan and introduce VoIP to your organization in the way that best suits your unique needs.